I have been behind but I think a post every two weeks is respectable considering all the GRE prep I am doing. But I am here now to delight you with my latest musings and adventures. The candy for this post was donated by my friend Ally! If she had a blog, I would link you to it. Suffice it to say she’s a great college pal from back in the day. In addition, the candies are both from the great state of Vermont (which is inferior to New Hampshire…you’re welcome Ally)! 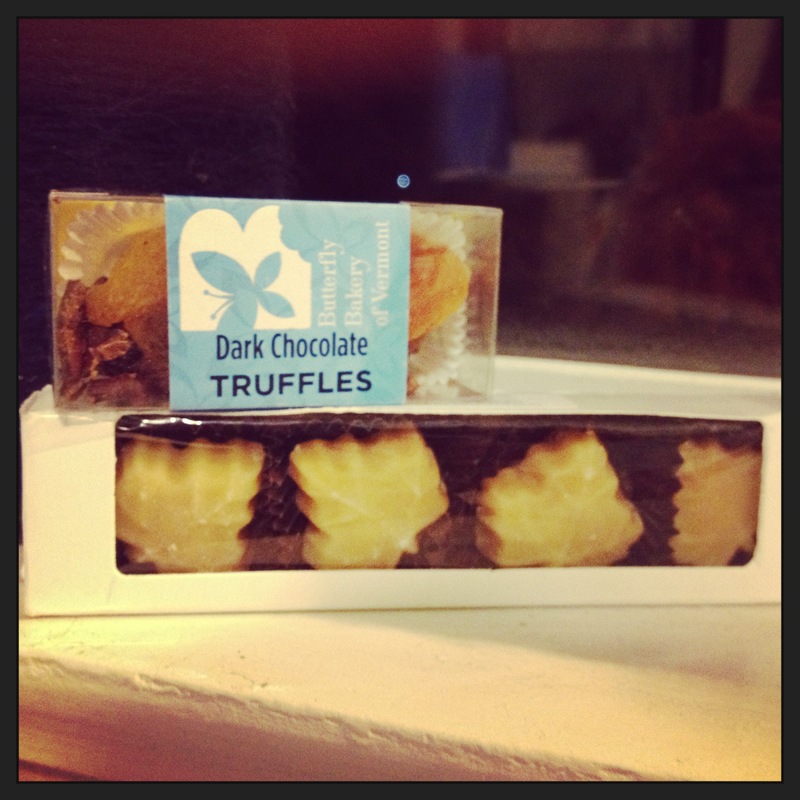 Candy: Dark Chocolate Truffles on top of Apricots with a spicy kick & Maple Candy! The Dream: Sam & I both thought a white would work with the chocolate and apricot, but my friend Ellen countered saying the sweet of the maple candy would not work. They both would be too sweet. We met in the middle and decided that a fruity and rich red would work. The Beaujolais was the perfect fit since Ally loves a nice Beaujolais. 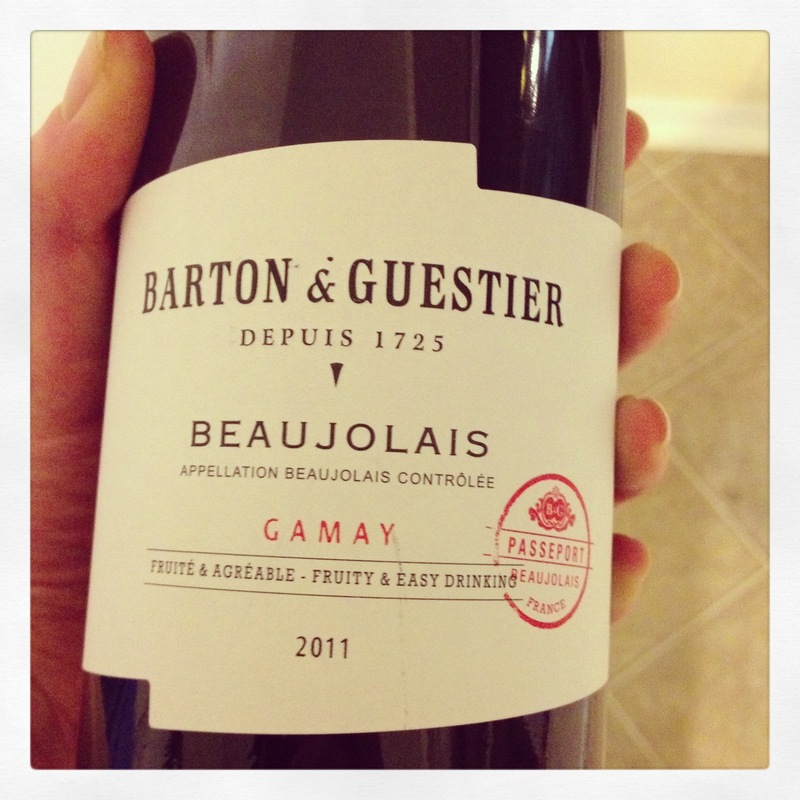 The Beaujolais has a wonderful bouquet with a distinct richness and a hint of chocolate. 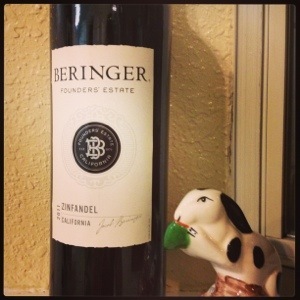 The wine goes down smooth and has a nice tang at the end. The chocolate apricot truffle is interesting. My only complaint is that the apricot is very chewy so it inhibits the entire experience. The thick truffle chocolate combined with the spice does go well with the Beaujolais. If the apricot chocolate ratio was a bit different, then the pairing would be a knock out of the park. Maple candies are well, maple. They are extremely sweet and the wine doesn’t quite mix with it. The maple melts way too fast but the flavors are not bad when they come together at first. 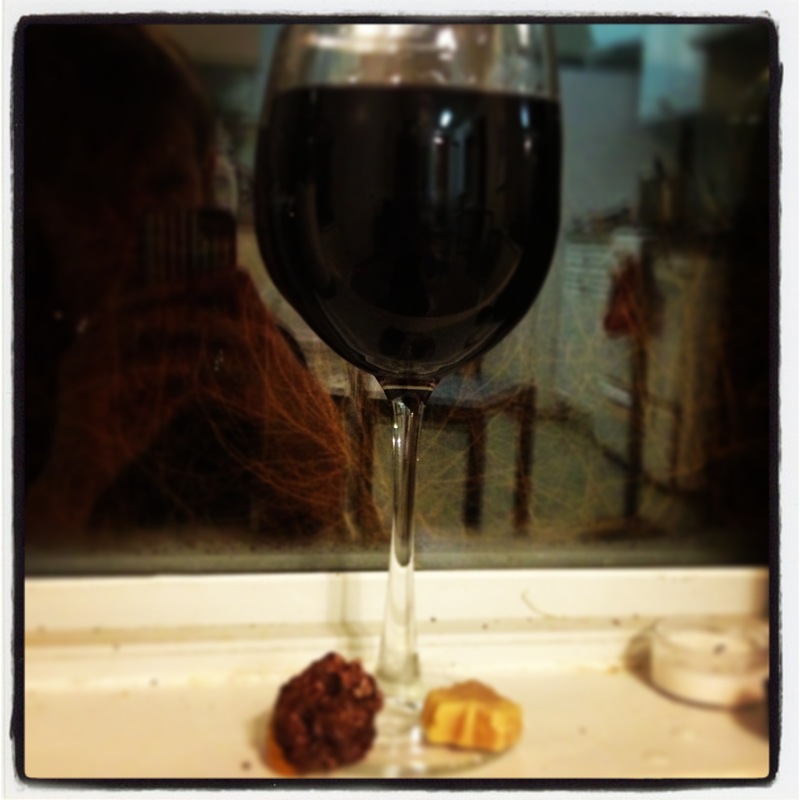 The first pairing is definitely one I’d like to explore further…push the boundaries of the chocolate/apricot ratio! Posted in Beaujolais. Bookmark the permalink. Yeah it’s been awhile once again. 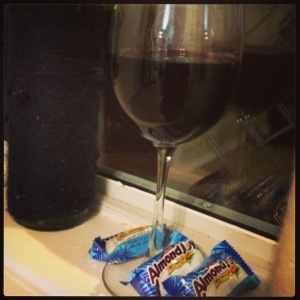 So to get myself motivated I am previewing the candy I paired. 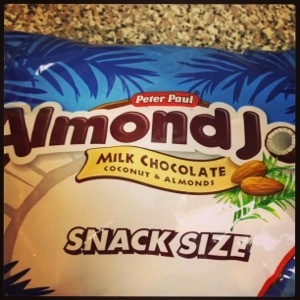 Posted in Uncategorized and tagged Almond Joy. Bookmark the permalink.